cairnswk wrote: So from this i can deduct that there are files waiting to be uploaded, that have been betad, and other maps waiting behind them that have not been betad but still have to be and these maps haven't had their files sent to lackattack for uploading because they are not betad. Do tell me please tnb80, how many maps can be in beta at once? There's no limit, or better at least untill it doesn't become something impossible to manage for me. Technically, right now there're just two limits, the first one is the time the the people that is involved into the map development process can put into it, from mapmakers to Lackattack. The second is the visibility I want to give to the maps. It's not just a personal choice but more something worth the effort that everyone here (mapmakers, CAs and foundry commentors) put into a map project. But let me explain this concept a bit better. 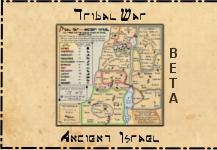 Right now I prefer to give the Beta stamp to a map, then update all the info I have to update (like the gallery index), send the file to Lackattack and write an headline for the map. Then I have just to wait that the map is uploaded. When the map is live, usually I post a message on the map thread to let the mapmaker knows about it. This procedure hasn't a predefined schedule, so sometimes it require few hours, sometimes a couple of days. Now you're certainly thinking: "if you have just to send the file to Lackattack, why not stamp all maps that are ready and send them to him at once?" The answer is simple and it's again visibility. You have probably noticed that since I become the Foundry Foreman, I've started to use the headlines also when a map reach the Beta stage, not only when it comes out. Not saying that the old system was wrong, just I think that headlines are a powerful way to bring more people here and express their opinion. To be honest, it's not just matter of a my personal opinion , because everyone here has noticed that there're more people that come here to share their thoughts about a map since I started to headline beta maps, so let me say that it works and this is a tangible proof of that! In addition I'm of the opinion that every single map on CC should have his 2 days of celebrity, 2 days in which we put it under the spotlight and say to everyone: "Hey there's a new map, take a look at it!" Unfortunately this thing creates also a limit. In fact I can have just 2 headlines right now. It's not that I'm not allowed to use headlines all days, is just that if I headline 3 maps, the 3rd covers the 1st. To prevent this thing I try to stamp and headline just 2 maps in the same time, so everyone has the same visibility on the homepage, without considering if the map is a masterpiece or just a map to my eyes. Like i said in other occasion you're all worth to receive the same treatment and the same respect. Coming back on topic, I'm discussing with the admins about the possibility to speed up the mapmaking process, specially during the final phase, where the maps have already passead through a depth scanning process in terms of gameplay and graphics. For now I won't give you more details, this because there's nothing set about this, so I won't make a promise that I won't able to comply...but consider that I'm working on it. P.s. the post is a bit long and I've some urgent home stuff to do, like prepare the dinner, so I'm not going to re-read what I wrote; if something doesn't make much sense,just let me know. P.P.s the objective of the discussion is to talk about realistic/feasible options for now- that in other words I mean no code changes or the like....my wish list for lackattack is long enough as it is now....like we say in italy: Don't ask the moon! mmm 35 views and 0 replies? Saying: "What we can decide for now is to change a bit the way how things are done", I was referring all the Foundry , not just CAs. Are you shy? Com'on guys, what do you think? It works in this way or not? Ah tnb80, i have read your post...and yes there is something i can suggest, but it will have to wait until after next Monday...if i can ask you to be patient...hehe! I think the system in place is good now. I can see not wanting to crowd beta with 20 maps. They get lost in translation. There are so many nice maps coming out right now. Well done by all! i am against crowding but i am also against seeing the headline and getting excited, only to discover i can't play the map for days. and when i can there is another new map so who gives a f*** about those other two now. i'm all for crowding the beta. why should there be perfectly good maps simply waiting around? imagine 10 maps reach the beta phase at the same time. they're all of the same quality and they're all 100% ready. who decides what maps go to beta first and what maps are left to wait for days/weeks? and how's that fair? let's say 5 go in beta and 5 have to wait. what happens to the waiting maps if the first 5 turn out to be very problematic and will have to be in beta for a month? will those maps have to wait for a whole month before they receive the beta stamp? it's absurd!!! as soon as a map is finished there should be no more than a week before it gets xml stamped. even that week is too long and as some of the recent maps have proven xml checking does not catch all the mistakes. so what's the point of a month long xml check if not all mistakes are caught? then after the xml checking week there should be a 48 hour last call. the very second that last call is made lack should be sent the files and have them ready for upload. as soon as the last call period ends the map is stamped for beta and lack uploads the files. that's how this should work. right now everything seems so random and plain wrong. what bugs me is why one map had to wait 5 more days than the other when they were both given the xml on the same day? none of the maps had any outstanding problems that took time to fix. so why the longer wait? yes i know 5 more days isn't that much but when you've been waiting 5 more days for this and 2 more weeks for that and 1 more month for the other thing and so on, it just adds up to the frustration and this surely can't be a positive thing. now, steamworks has the xml approved and has received the last call and it's been 6 days since i was told to wait 2 days. apparently there wasn't enough room for another map to get placed in beta along with the last batch so i'll have to wait even more to catch the next train. what happens now if trafalgar and quad cities and all the recent beta maps turn out to have problems? korea for example has been in beta for almost 2 months, baseball i think the same, what if all the other maps currently in beta take this long to balance and fix? Being new to the process I'm not sure I feel too comfortable to speak, and like hearing more from the "experts", but as a noob, I do think there is something to be said for the "15 minutes of fame", philosophy. I know I've worked extremely hard on my map and would love to see it shine on it's own, even if for only one day. Now, to that point, maybe I won't feel the same for my second, third, etc. map, but maybe if does go to a batch release there can be a hightlighting of "new" map makers, etc. I'm not sure, but I do think my opinion is bias because this is my first map. But, on the flip side, I have worked extremely hard and don't want to see my finished map sitting around and getting dusty. I see no problem with how it is now, but DiM does have a good point on the waiting times. But I would suggest that maps be betaed the same time each week, say a Friday. So every Friday, a new map comes out. Then the community has the weekend to play it. If lots of maps have reached the same stage at the same time, give 2 a go to speed it up. Instead of having the headline "New Beta Map: Trafalgar", how about "Last Call before Beta: Trafalgar". 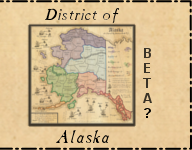 This would allow all who want to see the map before beta time to comment on it. None of us are fallible and with a fresh pair of eyes, a problem might be seen before it gets to the beta stage. Example is nattys Yugoslavia map and the naming of territs. So on a Monday, the headline of Last Call before Beta:" appears, and then on the Friday, it goes live. If this sort of routine was established, map makers would come to except it as the norm. Lastly, thanks for exposing the foundry thenobodies80 for scrutiny. Might be nice though to hear from the other foundry slaves, sorry, CA's on how they do things. Drafts, gameplay, graphics and also the xml checking. Would be nice to know, how long does it take to check an xml as I am on tenterhooks right now with my hair falling out. I agree with the "15 minutes of fame" philosophy, but I disagree with limiting the number of maps in Beta at any one time. I'd say go between DiM's Everything All at Once strategy and the current one. If there are several maps ready to go, two days separation between each upload. 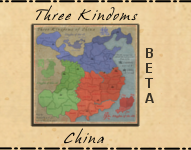 Some maps beta fast, others don't, and generally speaking there's no way to tell until it's up for beta, with a few obvious exceptions (R&C is one of them, new game type entirely). But don't stop tossing ready maps up for Beta until there are no more. Each should get a separate announcement, but having them bumped off by others is just a cost of doing business. Furthermore, that "bumping" effect should be reason for people to petition for an update that allows for more categorization of maps other than Alphabetical and Beta like we have now. greenoaks wrote: i am against crowding but i am also against seeing the headline and getting excited, only to discover i can't play the map for days. and when i can there is another new map so who gives a f*** about those other two now. If you are referring to the recent events....then I don't know why it took so long to have quad cities and yugoslavia uploaded. But it's not something that happen all days. DiM wrote: imagine 10 maps reach the beta phase at the same time. they're all of the same quality and they're all 100% ready. who decides what maps go to beta first and what maps are left to wait for days/weeks? and how's that fair? let's say 5 go in beta and 5 have to wait. what happens to the waiting maps if the first 5 turn out to be very problematic and will have to be in beta for a month? will those maps have to wait for a whole month before they receive the beta stamp? it's absurd!!! I never found myself in the situation to have 10 maps ready in the same time, so your example is not applicable. In any case I can assure to you that I won't leave a map wait for a month in that case. DiM wrote: as soon as a map is finished there should be no more than a week before it gets xml stamped. This is exactly what I asked to the xml checkers. A xml should must be stamped within a week from the day it was posted in the official thread. If sometime is not possible, then I don't care, but if it becomes a habit I'll ask to the checkers to consider if they have the time to do the job they are supposed to do. DiM wrote: then after the xml checking week there should be a 48 hour last call. the very second that last call is made lack should be sent the files and have them ready for upload. as soon as the last call period ends the map is stamped for beta and lack uploads the files. that's how this should work. As you can see I started to use the "last call". It's not 48H. I have many things to do and I can't live on this site, don't forget we're all volunteers, not paid staff, so I have other things to do during the day to give me the bread I need to live. Anyways, currently I'd like to post the last call and wait other 72hours, if nothing happen I'll stamp the map. DiM wrote: the very second that last call is made lack should be sent the files and have them ready for upload. Lackattack has not a time schedule for that....I can't say you if he need a minute or if he needs 5 days to do so. It's not up to me. As said I'm working on a way to speed things, to save hours or days doing part of his work when it comes to have the maps ready, but the webmaster has made very clear that the upload part is not treatable or modifiable. The previous answer is the reason of the randomness, althought your numbers are wrong. Yugoslavia became available for playing (when the beta status is real) exactly 10 mins before trafalgar. Simply I asked to Lack to leave trafalgar "hidden" to give me the time to post the beta bounty event. I personally unlocked it 10 mins after, so I'm 100% sure. Instead yugoslavia and quad cities took about a 5 days to be uploaded, probably for a series of unexpected events, as said I know zero about Lack and his private life or work days. DiM wrote: now, steamworks has the xml approved and has received the last call and it's been 6 days since i was told to wait 2 days. apparently there wasn't enough room for another map to get placed in beta along with the last batch so i'll have to wait even more to catch the next train. No, as said, there was a problem and I tried to understand what the problem was. This is why you had to wait. Everything else is just fantasies you're building in your brain. And no you don't have to wait, as said into my first post, there's no limit (except the headlines-2 maps). To be honest I've already sent the files to Lack 10 mins ago and I'm going to stamp your map as soon as I finish to have my dinner. DiM wrote: what happens now if trafalgar and quad cities and all the recent beta maps turn out to have problems? korea for example has been in beta for almost 2 months, baseball i think the same, what if all the other maps currently in beta take this long to balance and fix? The maps with issues will stay in Beta, the other will be quenched. It was in this way with Das Schloss, peloponnesian war. If a map reach beta before than another, it doesn't mean that it must come out before! Every map has his own story and his progression through the foundry....if you think it's people that decide when a map is ready to be quenched, not me. Seamus76 wrote: I have worked extremely hard and don't want to see my finished map sitting around and getting dusty. Don't worry, we don't want to hold map. When your map is the best maps you can produce and it is within the foundry standard, there's no reason to hold it. And you'll have your celebrity day, like everone else. koontz1973 wrote: But I would suggest that maps be betaed the same time each week, say a Friday. So every Friday, a new map comes out. Then the community has the weekend to play it. If lots of maps have reached the same stage at the same time, give 2 a go to speed it up. It wont' work. First because that system doesn't fit with a volunteer job, sorry but I don't want to be forced to be here for free all fridays to give yo u a map to play with. I have a RL, friends etc like everyone else on earth. Second, you can't be sure you will have a map every friday....and what happen if a map is ready on monday...it has to wait till friday? koontz1973 wrote: nstead of having the headline "New Beta Map: Trafalgar", how about "Last Call before Beta: Trafalgar". This is a good idea and it is the next step I'd like to apply. I've discussed with Andy about the headline usage and I'm going to use them more often to ask for feedback and things like that. Just, I was testing the first step. But what you said is the second one. koontz1973 wrote: Lastly, thanks for exposing the foundry thenobodies80 for scrutiny. Might be nice though to hear from the other foundry slaves, sorry, CA's on how they do things. Drafts, gameplay, graphics and also the xml checking. Would be nice to know, how long does it take to check an xml as I am on tenterhooks right now with my hair falling out. We're all slaves of this place. This because we can't live without it! Something like that could be done. One of the thing I'd like to do in the next future is to have a more open foundry, for too much time it has been just a blue mods thing and when it happens the foundry we all know can only die. Don't worry, the CAs need to know what you all think since we're far to be perfect! More or less what I'd like to do from now on. This discussion is going well, please continue, I'll try to give an answer to you all asap. Incidentally, Victor Sullivan's excellent weekly Stamp Update also helps fill a gap here ... ussuming everyone reads it! I suppose, but then again, the Newsletter is only fortnightly. I think Headlines, as far as regular mapmaking is concerned (neglecting contests, in other words), should only be used for three things: 1. When a beta map is live. 2. When a beta map is in the "Last Call" stage. 3. When a map is quenched. As far as when beta maps go live, if there are multiple beta maps, just have the headline say, "New Beta maps ready for play!" and have it link to the Final Forge. Theoretically, you could use that for the "quenched" maps, too, if there are multiples getting quenched, but I really think 2 and 3 should reference and link to specific maps. Victor Sullivan wrote: I suppose, but then again, the Newsletter is only fortnightly. And here I was thinking it came out every 14 days.